People living with mental health conditions may experience stigma, discrimination and social exclusion that significantly impacts on their lives. Misperceptions about the relationship between mental health, mental illnesses and violence contribute significantly to these experiences. Studies have shown that people living with mental health conditions are no more likely to engage in violent behaviour than the general population. However, public perceptions, often influenced by the media, are contributing to attitudes that have a significant impact on the lives of people with mental illnesses. Estimating the rate of violent behaviour by people with mental illnesses is complex, and a definitive causal relationship between violence and mental illnesses has not been established. There are challenges due to definitions, data gaps and technical issues related to the reliability, consistency and generalizability of available data. People with mental health conditions experience stigma, discrimination and social exclusion that significantly impacts on their lives, including fears that they may be violent. People with serious mental illnesses are more likely to be victims of violence themselves, than the general population. Freedom from violence and discrimination promotes positive mental health and well-being. Media reporting and portrayals contribute to public misperceptions about the relationship between violence and people with mental illnesses. The fear that people with mental health conditions may be dangerous or violent is at the core of the stigma, discrimination and social exclusion experienced by individuals with mental health conditions. 1, 2, 3 Research on public perceptions and attitudes about mental health have identified stereotypes that people with a mental illness pose a threat to public safety.4,5 Indeed, a 2008 study found that one in four Canadians admitted they would be fearful to be around someone with a serious mental illness.6 As detailed below, existing research indicates that these fears are misplaced. So what is behind these fears? Language plays a key role in how we think, talk and respond to this complex issue and can contribute to misperceptions about violence and mental health. There are many forms of violence, including physical acts, such as physical or sexual abuse, and non-physical acts, such as emotional abuse, harassment or intimidation. Violence can be directed against others or against oneself. The term “mental illness” is misleading because it suggests that all mental health conditions or illnesses are the same, or have similar characteristics. In reality, there is no single mental illness, but a range of mental health conditions with different symptoms and experiences. Oversimplifying discussions about mental illnesses can incorrectly infer that all individuals who are living with mental health conditions are impacted in the same way, or that all individuals share the same behaviours. In many cases, symptoms of acute mental illnesses are episodic, surrounded by periods of recovery or wellness.7 Thus, a person can experience mental well-being in spite of a diagnosis of a mental illness. Entertainment frequently features negative images and stereotypes about mental illnesses, and these portrayals have been strongly linked to the development of public fears concerning individuals with mental health conditions.14,15 Television portrayals do little to convince the public that individuals with mental illnesses do recover; and are active and productive members of our society.16 A recent study analyzed references to mental health in three months of television programming in the UK.17 The results revealed that 63 percent of the references to mental health in the program dialogue were pejorative, flippant or unsympathetic; terms included “crackpot,” “a sad little psycho,” “basket case,” and “looney tunes.” Forty-five percent of programs featuring mental illness-related storylines portrayed people with mental health conditions as dangerous, while 45 percent had sympathetic representations of individuals with mental illnesses. Key themes in the characterisation of people with mental health conditions included representations as being dangerous outsiders and tragic victims deserving of sympathy. There are significant consequences to the public misperceptions and fears. Individuals are more likely to support or condone forced legal action and coerced treatment for individuals living with mental health conditions if violence is perceived to be at issue.18 The association of violence with mental illness has been used to justify bullying, as high rates of victimization have been recorded for this group. A UK study found that psychiatrists who associated mental illnesses with violence were more likely to give a diagnosis of schizophrenia, if a history of violence was included in the case history.19 This finding has important implications, not only because of the stigma often experienced with a diagnosis of schizophrenia, but also because it is essential to ensure that individuals receive appropriate diagnosis and treatment. Violence and discrimination are often linked. Discrimination refers to actions taken to exclude or treat others differently because of their identity, including race, ethnicity, gender, sexual orientation, disability and/or other factors, and violence is often the vehicle through which discrimination is acted out.20 Experiences of discrimination and violence can result in psychological distress and feelings of low self-esteem, as well as anxiety and depression.21 Such experiences can impede recovery, and create multiple barriers to accessing the social determinants of health, including housing, employment and education. Being a victim of violence is also strongly associated with substance abuse and mental health conditions. Stigma and discrimination are daily realities for people with a mental illness, and they report that both the fear and reality of how others judge them is one of their greatest barriers to a complete and satisfying life. Stigma and discrimination against people with a mental illness can impede recovery and diminish quality of life. Research regarding violence and mental health includes federal, provincial and municipal crime statistics, medical research, and investigative reports by the media. However, there is minimal critical social science research conducted on this topic, and even fewer studies that incorporate the perspectives of people living with a mental illness or their families. Furthermore, there is a lack of Canadian and Ontario-specific research on violence and mental health, which also raises the question whether studies conducted in the United States, in Europe or Australia can be generalized to the Canadian population. The existing research on violence and mental health raises more questions than answers. A majority of the known research studies focus on estimates of the rates of violent incidents, defined as prevalence. However, violence itself may be defined in different ways, and regardless of the definition, it is difficult to measure. While some studies rely solely on official documentation, other data is based on uncorroborated self-reports.26These types of limitations are well known sources of research bias. Furthermore, common sources of data, such as the use of police databases or hospital-based studies of involuntarily committed inpatients, do not represent the overall population of people living with mental illnesses.27Therefore, prevalence rates will differ depending on the source of information. A definitive causal relationship between mental illnesses and violence has not been established. There are no population-based Canadian studies looking at violence or victimization among people with serious mental illnesses. Some studies do not distinguish between mental illnesses, substance abuse/dependence or co-occurring mental illnesses and addictions. There are also inconsistencies in how mental illnesses are defined by research studies. Different studies include different disorders under the definition of “mental illness.” Schizophrenia, substance use, personality disorders, and psychopathy are often examined in relation to violent behaviour. As a result, different statistics can emerge depending on which disorders are included or excluded in a particular study. For example, research shows violent behaviours are significantly elevated when a mental illness co-occurs with substance use.28,29 However, rates of violence among mentally ill individuals without concurrent substance disorders are similar to the rates of violence within the public. As a result, inconsistent definitions often create difficulties with the generalizability of the research findings. Research studies may utilize risk assessments to estimate an individual’s propensity for violent behaviour. However, different methods and types of risk calculation can generate different “conclusions” regarding the risk of violent behaviour among people living with mental illnesses. For example,absolute risk identifies the likelihood that an individual with a mental illness might be violent, whereas relative risk calculates the odds that an individual with a mental illness might be violent, compared to people without a mental illness. A third type of calculation looks at the risk of violence at the population level. Presenting each of these risk assessments in isolation can lead to different perceptions of the risk of violence by people with a mental illness. For example, a random sample of individuals entering a provincial detention centre in Alberta found that while 19 percent of persons charged with committing a violent crime had a mental disorder, only 3 percent of total charges related to violence could be attributed to the mental illness itself.30 Similarly, a study in Sweden found that people with schizophrenia were 3.8 times more likely to have been convicted of committing a violent crime than those without a mental illness, yet the crimes attributed to mental illness represented approximately 5 percent of all violent crimes in Sweden.31 Regardless of the higher odds that a person with a mental illness would be convicted for a violent crime, 19 out of every 20 violent crime convictions in Sweden were committed by someone who did not have a mental illness. Given these methodological challenges, estimating the rate of violent behaviour by people with mental illnesses is complex, and a definitive causal relationship between mental illnesses and violence has not been established. Much of the existing research has focused on the prevalence of violence among people with mental illnesses; yet, little attention has been paid to other causal factors of violence. The predominant determinants of violence are demographic and socio-economic factors, such as being young, male and of lower socio-economic status.32 A history of experiencing or witnessing violence, or previous involvement with the criminal justice system are also contributing factors. The multiple contributing factors of violence are outlined in the Government of Ontario report, theReview of the Roots of Youth Violence (2008).43 This report focuses on the effects, rather than the existence, of the root causes of violence, and highlights the major conditions in which the immediate risk factors for violence flourish within our society. Several root causes are identified, including: poverty, racism, community design, education, family issues, health, lack of economic opportunities, and involvement with the justice system. The roots of violence are therefore multi-faceted and include lack of access to the social determinants of health. Increasing access to the social determinants of health is an important strategy for addressing violence and promoting mental health. People with mental illnesses who have been in conflict with the law, tend to have higher rates of substance abuse, homelessness, challenges in adhering to treatment, and experiences of victimization, as well as lower rates of social support, when compared to other adults with a mental illness.55Many of these characteristics are common to other Canadians who have been in conflict with the law. Incarcerated women in Canada typically have a history of childhood sexual abuse and physical abuse, as well as social and economic marginalization.56 Experiences with homelessness are linked to both poor mental health and incarceration.57 All of these characteristics increase the likelihood of further victimization in communities and correctional facilities. Recent victimization is a risk factor for violent behaviour within the general population, as well as among people with mental illnesses.58,59 In a vicious circle, victimization, past history of crime and acute psychiatric symptoms in turn increase the risk of further victimization.60 Thus, when examining the research on the prevalence of violence among individuals with mental illnesses, it is also important to consider the rates of victimization faced by such a vulnerable group. The majority of individuals with mental illnesses are not involved in violence. However, given the complex associations and the consequence of negative public perceptions, a multi-faceted approach is needed to address violence and mental health. The recent Roots of Youth Violence report (2008) affirms many of the root causes of violence in society and its impact on Ontarians. These root causes include poverty, racism, community design, access to education, family structure, lack of economic opportunities and involvement in the justice system.61 Providing safe housing, meaningful employment and promoting social inclusion through supportive and safe neighbourhoods are key strategies for improving the lives of people with mental illnesses. People with mental illnesses are at greater risk for victimization in correctional facilities. This level of risk for victimization continues upon release from custody due to lack of adequate and accessible housing. In Ontario, mental health courts and court diversion programs are beginning to redirect individuals with mental illnesses who are in conflict with the law into community support, supervision and/or treatment programs as an alternative to incarceration. Various community mental health agencies across the province are now providing community-based discharge planning to individuals with mental illnesses transitioning out of the correctional system. These programs link individuals with a mental illness to essential housing, income supports, and mental health services and supports. Public fears of dangerousness can exclude people with mental illnesses from safe and healthy environments and in turn, expose them to victimization.”Not in my backyard” thinking, often referred to as NIMBYism, can lead to neighbourhood residents exercising power to keep people with serious mental illnesses isolated from the communities in which they live. Precarious, inadequate or unavailable housing options for people with mental illnesses can restrict individuals to neighbourhoods that lack amenities such as community centres, public transportation, health and social service agencies, recreational areas. Living in marginalized communities can create feelings of isolation and insecurity, and can contribute to poor or worsening mental and physical health. Misconceptions about the risk of dangerousness can also generate stigma among service providers and their response to persons with a mental illness.64 The judgments, attitudes and behaviours of providers toward people with mental illnesses can be a disincentive for individuals who might otherwise seek care. It is essential that individuals with mental health conditions have timely access to mental health services to support their recovery and promote well-being. While new investments are occurring, Ontario still lacks capacity to provide a comprehensive core basket of services and supports in all areas across the province. A reduction in negative media portrayals of mental illnesses is a critical strategy for altering sensationalized beliefs about the dangerousness of people with mental illnesses. The media can challenge negative attitudes by presenting stories that challenge myths and misinformation. The media also has great potential to transform public misperceptions by including positive portrayals of individuals with mental illnesses to help reduce the stigma and discrimination associated with mental illnesses. Recent examples of positive media response include series in the Globe and Mail and the Toronto Star that reported on the state of mental health programs in Canada, and provided balanced stories of people living with mental illnesses. When reporting statistics on violence and mental health it is important to understand the source of information, the type of analysis done and its limitations, and assess the credibility of the data interpretation. Canadian Mental Health Association, Ontario has developed a guide for critically reviewing research and media articles (Appendix A) with the purpose of promoting greater understanding and discussion about the complex issues related to mental health and violence. As the media plays an important role in shaping and influencing public opinion, a balanced approach is essential to reporting on mental health. Media should refer to guidelines on responsible media coverage, such as the guidelines developed by the Canadian Psychiatric Association (2008) and the Centre for Addiction and Mental Health (2009). When reporting on this topic, the media should ensure that all perspectives are represented, including that of consumer/survivors, family members, and care providers. Support research that engages relevant stakeholders, especially consumers and family members, in asking critical questions about representations of mental health and illness, and the impacts of these representations on people living with mental health conditions. Public attitudes need to be challenged that incorrectly link violence with mental illnesses. This should be part of a comprehensive, multi-faceted strategy to address stigma and discrimination. Ontario’s Select Committee on Mental Health and Addictions (2010) and the Minister’s Advisory Group (2010) have both recommended that Ontario address stigma. 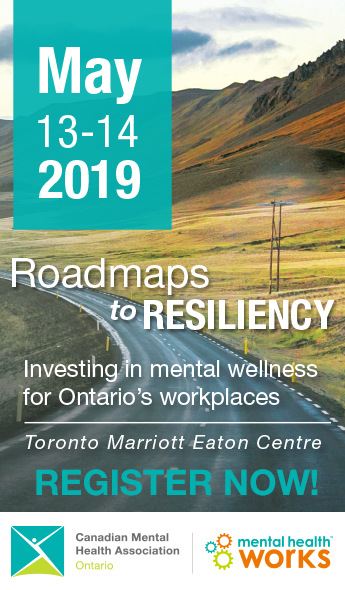 In 2009, the Mental Health Commission of Canada initiated support for local anti-stigma initiatives, and the Ontario Human Rights Commission has begun development of a human rights and mental health strategy for the province. Positive mental health for all requires access to economic resources, freedom from violence and discrimination, and ensuring social inclusion. Interventions need to be targeted at the individual and community level, as well as strategies for healthy public policy. This will require intersectoral and whole-of-government approaches. Discussions about violence and mental health require a balanced approach as they have the potential to reinforce stigma and social exclusion of people living with mental health conditions. Therefore, Canadian Mental Health Association Ontario recommends the use of a screening tool or guide to ensure that information and reporting on violence and mental health is balanced. CMHA Ontario proposes that the following questions be used as a guideline when reviewing research and media articles, including research studies, journal articles, newscasts and other media resources, with the purpose of promoting greater understanding and discussion of the complexities of the issues related to mental health and violence. What type of document is it? Academic, journalistic, or an editorial? (The type of document will indicate how rigorous the research is). Who is conducting the research? Who is funding the research? Whose voices are included in the research? Whose voices are excluded? How is “mental illness” defined? How is “violence” defined? What type of approach is taken to understand mental health? Canadian Mental Health Association, Ontario would like to express our appreciation to the following individuals and organizations for contributing their time to reviewing and providing feedback on earlier versions of this discussion paper. Please note that this is not an endorsement by the organizations listed. Stuart, H. (2003). Violence and mental illness: an overview. Journal of World Psychiatry. June, 2003, 2(2). Pp. 121-124. Clarke, T &amp; R. Rowe. (2006). Violence, stigma and psychiatric diagnosis; the effects of a history of violence on psychiatric diagnosis. The Psychiatrist 30. Pp. 254-256. Jorm, A.F. and K.M. Griffiths. (2008). “The Public’s Stigmatizing Attitudes towards People with Mental Disorders: How Important are Biomedical Conceptualizations.” Acta Psychiatrica Scandinavica. 118 no.4:315-321. Knifton L. and N. Quinn. (2008). “Media, Mental Health and Discrimination: A Frame of Reference for Understanding Reporting Trends.” International Journal of Mental Health Promotion. 10 no.1:23-31. Francis, C., Pirkis, J., Dunt, D., &amp; Blood, R.W. (2001). Mental Health and Illness in the Media: A Review of the Literature. Canberra, ACT:Commonwealth Department of Health and Aging. Stuber J. and P. Achterman. “Washington State Newspaper Coverage of Mental Health Issues.” Washington State Coalition for Mental Health Reporting, School of Social Work, University of Washington. No date. Corrigan, P.W., A.C. Watson, G. Gracia, N. Slopen, K. Rasinski, and L.L. Hall. (2005). “Newspaper Stories as Measures of Structural Stigma.” Psychiatric Services. 56 no.5:551-556. Stuart, H. (2006). Media Portrayal of Mental Illness and its Treatments: What effect does it have on people with mental illness? CNS Drugs, 2006, 20 (2). Pp. 99-106. Arboleda-Flórez, J. (2003) “Considerations on the Stigma of Mental Illness.”Canadian Journal of Psychiatry. 48 no.10:645-650. Clarke, T &amp; R. Rowe. (2006). Violence, stigma and psychiatric diagnosis; the effects of a history of violence on psychiatric diagnosis. The Psychiatrist. 30. Pp. 254-256. Centre for Addiction and Mental Health, et al. (2008). Mental Health Promotion in Ontario: A Call to Action. Angermeyer M.C. and B. Schulze. (2001). “Reinforcing Stereotypes: How the Focus on Forensic Cases in News Reporting May Influence Public Attitudes towards the Mentally Ill.” International Journal of Law and Psychiatry. 24 no.4-5: 469-486. Norman, R.M.G., R. Sorrentino, D. Windell and R. Manchanda. (2008). “Are Personal Values of Importance in the Stigmatization of People with Mental Illness?” The Canadian Journal of Psychiatry. 53 no.12:848-856. Choe, J.Y., L.A. Teplin, and K.M. Abram. (2008). “Perpetration of Violence, Violent Victimization, and Severe Mental Illness: Balancing Public Health Concerns,” Psychiatric Services. 59 no.2:153-164. Elbogen, E.B. and S.C. Johnson. (2009). “The Intricate Link between Violence and Mental Disorder.” Archives of General Psychiatry. 66 no.2:152-161. Fazel, S., N. Langstrom, A Hjern, M. Grann and P. Lichtenstein. (2009). “Schizophrenia, substance abuse, and violent crime.” Journal of the America Medical Association. 301 no.19:2016-2023. Stuart, H. L. and J.E. Arboleda-Florez. (2001). “A Public Health Perspective on Violent Offenses Among Persons with Mental Illness.” Psychiatric Services. 52 no.5:654-659. Fazel, S. and M. Grann. (2006). “The Population Impact of Severe Mental Illness on Violent Crime.” The American Journal of Psychiatry. 163 no.8:1397-1403. Monahan, J.. (2002). “The MacArthur Studies of Violence Risk.” Criminal Behaviour and Mental Health. 12 no.13 (supplement): S67-S72. McMurty, R. and A. Curling. (2008).The Review of the Roots of Youth Violence.Vol. 2 Executive Summary. Government of Ontario.www.rootsofyouthviolence.on.ca. S. Fazel et, al. (2009). “Risk factors for violent crime in schizophrenia: A national cohort study of 13,806 patients.” Journal of Clinical Psychiatry. 70 no.3:362-369. S. Fazel et, al. (2009). “Schizophrenia, substance abuse and violent crime.”Journal of the American Medical Association. 301 no.19:2016-2023. World Health Organization. (2002). “Self-Directed Violence.” In World Report on Violence and Health. World Health Organization. Pp.185-212. Steinert, T., C. Wiebe, and R.P. Gehardt. (1999). “Aggressive Behavior Against Self and Others Among First-Admission Patients with Schizophrenia.”Psychiatric Services. 50 no.1: 85-90. Teplin, L.A., McClelland, G.M., Abram, K.M., Weiner, D.A. (2005). Crime victimization in adults with severe mental illness. Archives of general psychiatry. 62: 911-921. Hiday, V.A., J.W. Swanson, M.S. Swartz, R.Borum, and H.R. Wagner. (2001). “Victimization: A Link between Mental Illness and Violence?” International Journal of Law and Psychiatry. 24 no.6: 559-572. Blitz, C.L., N. Wolff and J. Shi. (2008). “Physical Vicimization in Prison: The Role of Mental Illness.” International Journal of Law and Psychiatry. 31 no.5: 385-393. Brink, J.H., D. Doherty and A. Boer. (2001). “Mental Disorder in Federal Offenders: A Canadian Prevalence Study.” International Journal of Law and Psychiatry 24 no.4-5:339-356. Canadian Institute for Health Information. (2008). Improving the Health of Canadians: Mental Health, Delinquency and Criminal Activity. The Canadian Population Health Initiative. Laishes, J. (2002). “The 2002 Mental Health Strategy for Women Offenders.” Correctional Service of Canada. www.csc-scc.gc.ca. Gaetz, S. and B. O’Grady. (2006). The Missing Link: Discharge Planning, Incarceration and Homelessness. The John Howard Society of Ontario. Lam, J.A. and R. Rosenheck. (1998). “The Effect of Victimization on Clinical Outcomes of Homeless Persons with Serious Mental Illness.” Psychiatric Services. 49 no.5:678-683. Corrigan, P. (2004). “How Stigma Interferes with Mental Health Care.”American Psychologist.59 no.7:614-625.